There are an awful lot of folks out there questioning NRA’s position on the Kagan nomination, believing that they need to be up front and aggressive in going after her. I agree with them that Kagan is going to be a disaster for gun rights, and for the Constitution in general. I also don’t find the position to be implausible or irrational. I won’t tell you there haven’t been moves by NRA that haven’t puzzled me, and I disagreed with, but I have very seldom second guessed their strategy in public. Why? Because I am not about to second guess professional lobbyists, any more than I would call up my insurance company, and offer them actuarial advise, or call up an orthopedic surgeon and suggest he’s been doing knee replacements wrong all these years. I would not go so far as to say Chris Cox is a Vulcan chess master, but I understand what the author is trying to convey here, and agree with it. All of us, with the exception of my readers who are professional lobbyists (you know who you are), are operating at a very significant information deficit relative to the people who spend a large amount of time on the Hill communicating with lawmakers and congressional staff. Even though many more of us know the basic rules of this game, and have a pretty good idea how it is played, without that full time engagement we simply do not have enough information. So how do we know the professionals can be trusted? Well, you can’t. All you can really go by is track record. But if there’s an interest group who has a better track record on their issue than NRA, especially in this Congress, I’d really like to know who they are. Do they make mistakes? Sure. This is a game such that no one has perfect information, so outcomes can never be completely deterministic. But the people who are playing the game are in a far better position to be able to call the right moves than those outside of it observing. That’s largely why you’ll hardly ever hear me say NRA should zig when it looks like they are getting ready to zag. What I typically do is try to explain plausible rational for a zag based on what I know about the game, or what information I might have on the move. And there has been a few times I’ve thought they should zig, thought they would zag, explained that rationale, and they ended up zigging. None of us are working with perfect information, especially commentators like me. That’s not to say there’s anything wrong with armchair lobbying. Many of us watch this because, like some people love football, we enjoy the game. Even if, like football, we don’t always enjoy the results. But it is difficult for me to understand how folks can believe, often with what seems like a burning passion, that NRA is certainly wrong, and is making a move that is sure to destroy our gun rights. I don’t think there’s one single reason that explains it. But I do notice that some have a tendency to believe that NRA’s role is to affirm their core beliefs. They would be up shouting before Congress if they had the opportunity, so they expect NRA to do the same on their behalf, since NRA does have the opportunity. They are not people who enjoy the game, and may even resent the game. They probably don’t even want to accept that it is a game. But that’s what politics is — because it’s the art of people getting along with each other and running a society without resorting to another, more serious variant of the game, which I think we all can agree is least desirable (though we certainly have an element who fantasize about it, in my opinion without a serious consideration of its horrors or consequences). I can understand completely why people hate politics, and don’t like having their lives screwed with. But that’s, for better or worse, the system we have, and it’s better than the alternatives. If you get frustrated, throw your hands up, and stop playing, you lose — the other team won’t give up. I can see the point of those who say NRA needs to be more aggressive. But I’m going to trust the people who are regularly on the Hill and have a lot more information than we do about the best way to proceed. If they advise patience, I’m going to be patient. Truth is, I don’t think there’s any way we’re derailing Kagan, regardless of how NRA moves. Nominees are very seldom rejected, and nominees getting derailed by the President’s own party when that party had an overwhelming majority in Congress is absolutely unheard of. Elections have consequences folks, and for the people who said John McCain wasn’t good enough, and sat out 2008, I really don’t want to hear any complaints. Amen. The NRA is way ahead of us. No one has done a better job in defending the 2nd admendment. Nobody !! Good plan now beats perfect plan never. Better track record than the NRA? Maybe AARP. But no, not much out there with better. It certainly would be nice if the you, the lobbyists, the NRA, or God (as you seem to want to lump yourselves all into a group) would impart upon on us little folks the reasons why Kagan’s nomination is not being opposed. Because the “just trust us” line is wearing a little thin. Not that I’m tearing up my NRA membership anytime soon, but a little explanation could go a long way. I do agree with your observation about the last presidential election. Who said they WEREN’T opposing Kagan, LFS? Seems to me we would not be having this discussion about “aggressive opposition” to Elena Kagan if most of those involved in modern Conservatism had any real understanding of how professional relationship-building works. It never ceases to amaze me how many conservative intellectuals and their hangers-on express little to no confidence in CJ Roberts’ ability to steer the consensus in his direction. And it’s this lack of understanding of relationship-building that is causing too many conservatives to think the NRA is allegedly “betraying” them, when all the NRA is doing is looking out for the best interests of its membership. If you don’t voice your opposition now, either privately or through the NRA or other group, then you must be the ultra sheep. LFS: No one is comparing themselves to God here. God has perfect information. What I’m speaking to is relative information deficits. So what experience or knowledge do you have to second guess the political strategy of people who do this professionally, and spend a lot of time on Capitol Hill? It was a generic statement. We the people should contact our senators individually first, then as a secondary measure a lobbying group. That’s the American way. Besides, what gives you so much faith and trust the NRA will do the right thing? I have more trust (not faith) in my peers than in such a large organization such as the NRA/NRA-ILA. The NRA-ILA is only a few more precedents away from losing their business model. The NRA(-ILA) is playing a version of chess, by which the members don’t know the rules. The game is long, drawn out, has many pawns, knights, and kings. The board is invisible. We don’t know how many squares are in play at any time. This could be closer to vulcan chess or baseball poker with a rainout playing the Indians. Who knows the score? I can’t put any faith or trust in the NRA(-ILA) and I speak for myself. I haven’t seen anything out of the NA(-ILA) which gives me a warm and fuzzy feeling they’re doing well. In the end when it’s all done and over did the NRA(-ILA) do everything in it’s power? 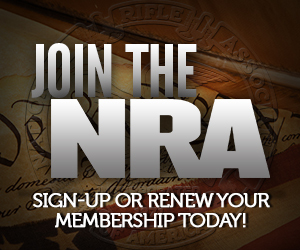 Have we ever seen the NRA(-ILA) come out and defend it’s membership to the fullest? I haven’t seen it in a long time. The old guard is gone and the new guard isn’t doing much. I think we see very different things, Scott. Thanks for keeping me honest. I’ve now read that the NRA is thinking about scoring the Kagan vote. Of course, I read that after commenting here. Not thinking about it anymore. They just sent a letter to Leahy announcing their intention to score the vote, and their opposition to Kagan. Your blog is great and you and Bitter are smart and knowledgeable people. But this post is outright condescending. NRA members always have the right to question the NRA leadership and NRA practices (this is actually my argument as to why gun owners shouldn’t quit the NRA over these issues, because then the NRA has no reason to listen to them). And we always have the right to question our elected leaders, Supreme Court Justices, our personal physicians, and our pets. And I do, for the most part, agree with you about the NRA. But like I said, a little more communication from them would be good. He’s not saying you shouldn’t ever question NRA at all. Good lord, I would be the first to break that rule. They know me well – and have for years – for my bitching about various decisions they’ve made. There’s a difference between publicly airing every single grievance publicly and DEMANDING immediate change to exactly what YOU want (and that often goes hand-in-hand with wild speculation that’s not based in truth) and disagreeing with the path the organization is taking in a manner. My point to several people who I have talked to is that an important step in making sure disagreements are more likely to result in positive change is to think about the constraints they might be working under. No, you won’t have perfect information. As I was reminded today, they don’t have perfect information, either. But give it a fair shake before assuming the worst, and more importantly, before screaming to high heaven that you’re being screwed. (I’m not saying you personally, I mean that in a general sense.) Sometimes screaming to high heaven is the answer to getting a result, but usually it isn’t. And if it is the best path forward, just make sure you’re working with the most information you can reasonably find. It’s not meant to be condescending. I’m not claiming exemption from the same information deficit that affects everyone else. Nor am I saying that members don’t have a right to question NRA leadership. Of course they do. But I am asking people to think about how much of an information deficit they are operating at vs. a professional lobbyist. And I agree more communication would be good, but sometimes you can’t really talk about what’s going on behind closed doors. Bitter, I understand your point in general, and I agree. But regarding Kagan, if the NRA staff didn’t already have a general understanding of how their membership feels about her nomination, then the NRA membership has a problem with the NRA staff. There’s a difference between screaming, “They’re wrong!” (second guessing) and calling up NRA to say, “I’m going to be peeved if you don’t oppose her nomination” (helping NRA understand how their membership feels about the nomination). I’m glad to see the NRA communicating their opposition to Kagan’s nomination. I’m suprised it took so long. I didn’t want it to become another Gillibrand “I told you so” event. Perhaps they waited for the membership cries to reach a certain threshold. Maybe your posts angered the masses. Sebastian, of course we see things differently and I’m ok with that. Elections have consequences folks. And for the people who said John McCain was good enough and voted for him in the primaries, I really don’t want to hear any complaints. That’s just the way things are sometimes. No problem with that on this side either. I didn’t vote for him in the primary… but by the time PA had its primary, my favored candidate had dropped out. Complete agreement. McCain won largely because there were a bunch of conservatives in the primaries who split the conservative vote too many ways. McCain won the vote of those Republicans who are “moderates” or even fancy themselves “libertarians” because they oppose the social conservative agenda. (I put libertarians in quotes because many of them aren’t really libertarians; they’re liberals who haven’t admitted it to themselves.) That’s not a majority of Republicans–but it was a larger voting block than any of the conservatives trying to get the nomination could muster. Somewhere I still have a bumper sticker that reads “F$!# It! McCain ’08” With the obfuscation. I’m not obfuscating it here. That pretty much sums up how I felt about the ’08 primary. Whether NRA opposes Kagan or not is immaterial. The confirmation process is theater and she will be confirmed. The only tyhing that matters now is teh November elections and 2012. Not every SCOTUS nominee has been confirmed recently – look at Bush’s first nominees for each opening. Or Bork, for that matter. McCain won the nomination because the MSM pretty much blacked out or ridiculed the other, and often stronger, candidates. McCain was the weakest of the popular candidates showcased by the media. Kinda like how Microsoft would peddle it’s wares in the 90’s. Hell, I voted for Thompson in the primary, even though he’d folded by then. But Palin and the specter of either Obama or Hillary (who I was convinced had the Dem nomination in the bag. . . literally, as in “Sammy the Bag Man sez, ‘I see you’re a delegate to the DNC convention. Dis is a real nice kidney you got dere. Be a shame if somtin wuz to happen to it. Lucky, you got two. By the way, ain’t that Hillary a real leader? Huh? '”) did something John McCain couldn’t do. . . vote McCain in the general. No kidding. I’ve been appalled at State. If that’s any clue how she would have run the country, maybe Barry isn’t so bad in comparison after all, and it’s not like I think Barry is even close to competent. I don’t find the behavior of the Dept of State to reflect as poorly on Sec Clinton as some others. State has been marginalizing the desires of the appointed Secretary and the elected officials for generations. I grew up as a foreign service and later state dept brat; the US Dept of State is a power unto itself (at least in the minds of the permanent staff). Secretaries come and go, Ambassadors come and go; the bureaucrats will survive and prosper. In 4 or 8 years there will be another Administration, after all. And unlike the domestic cabinet departments, the mandarins of Foggy Bottom don’t make decisions that affect the lives of everyday Americans to the extent that they will call their congressman in droves; so they have less incentive to temper their lofty motives. The only way to tame State would be to clean house top to bottom, or at least well down to the GS-14 level or so – the equivalent of cutting back everyone higher than O-5. And that cannot happen because of civil service regs. That’s true of Interior too, from stories Dave Hardy has told. Of course, Congress can always change the civil service regs. True enough. Though given the reasons they were enacted in the first place, that might be a cure worse than the disease. There are plenty of positions in government (even policy-making ones) where insulation from patronage is important.